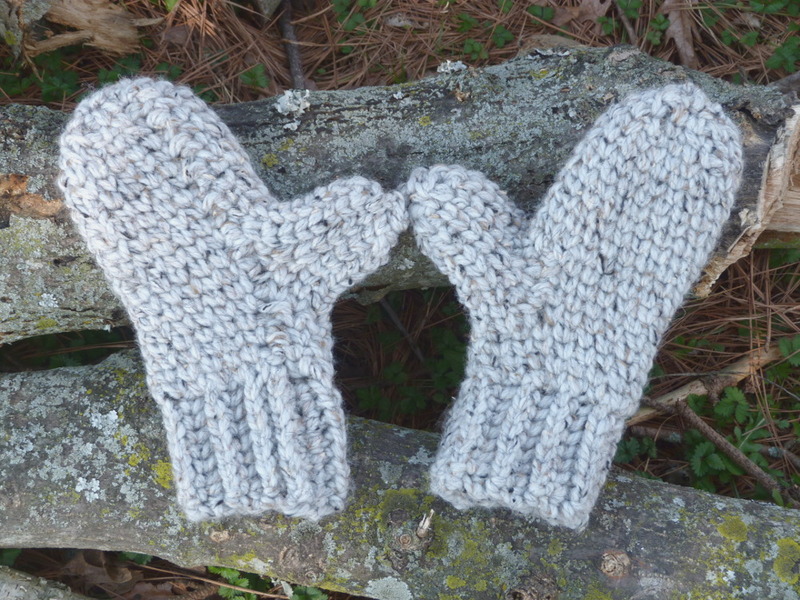 Have you ever made a pair of mittens before? It may sound a little daunting if you haven’t but believe me, it’s really quite simple. Using the knit stitch, I’ve designed this simple mittens pattern to be basic enough for new crocheters. Don’t let the details get you down. I suggest two ways of working this mittens pattern – following the instructions straight through, or sizing it accordingly as you go. If you’re the hands-on type (ahem, no pun intended), then I would recommend tailoring each step to your size. For example, try the cuff around your arm and adjust it appropriately. Then the length before the thumb, and next the opening. If you find my instructions don’t meet up with your sizing then simply subtract or add a row here and there. What is important about this pattern is the basic steps: cuff, wrist, thumb-hole, hand length, and thumb length. Gauge Swatch: 2’’w x 2’’h (5 cm x 5 cm) ch 5. 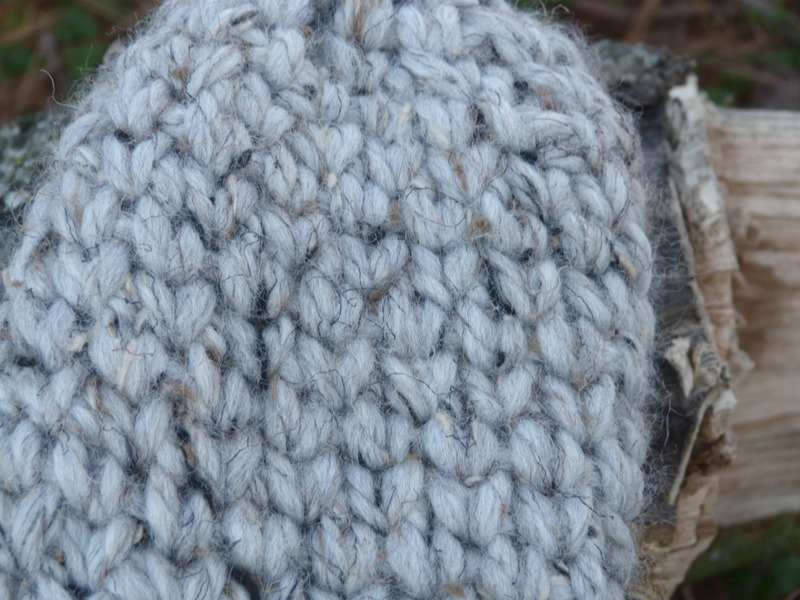 Knit Stitch: work all single crochet stitches in the pattern as the knit stitch (se How to Crochet the Knit Stitch, photo tutorial and video tutorials), except when working into chains. Changing Sizes: for a smaller or larger size, simply subtract or add a few rows at the cuff, and length of body and thumb. 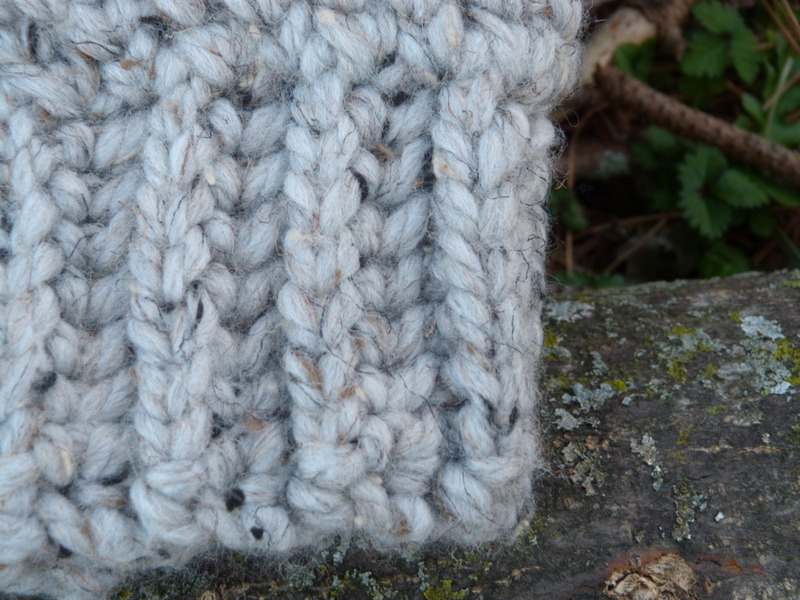 Join the ends of the cuff by single crocheting them together. Do not finish off. Finish off, leaving a long end for sewing. With a yarn needle, weave end shut to close mitten. Finish off, leaving a long end for sewing. With a yarn needle, weave end shut to close thumb. Remember, if you have any questions, leave a comment and I’ll get back with you! This entry was posted on Wednesday, March 28th, 2018 at 12:00 AM by Amy	and is filed under Free Crochet Patterns. You can follow any responses to this entry through the RSS 2.0 feed. You can skip to the end and leave a response. Pinging is currently not allowed.